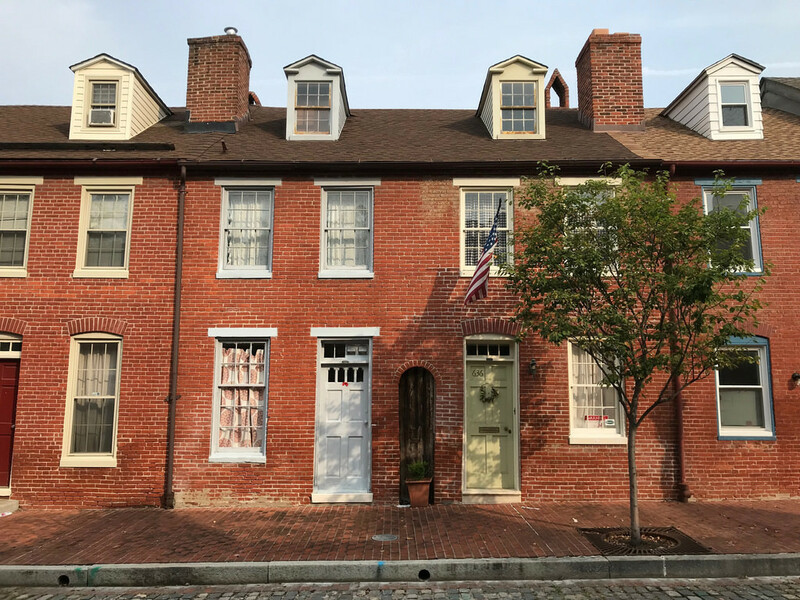 Built in the 1830s, the 600 block of Stirling Street was home to free working people, both African-American and white, living in modest Federal style rowhouses. Some residents worked in the industrial and commercial businesses that grew up around the nearby Jones Falls—sawyers, carters, cigarmakers, and tailors. Nearly 180 years later, these houses appear much as they did to their original inhabitants. By the 1960s, like much of Oldtown, the houses of Stirling Street had fallen into disrepair. 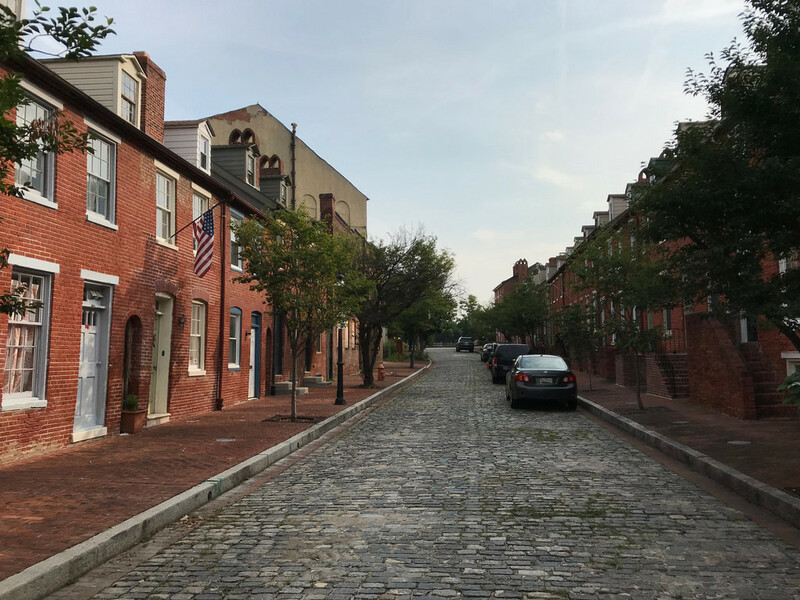 As part of an urban renewal project to repurpose the Gay Street commercial corridor into a pedestrian mall, the Baltimore Urban Renewal Agency planned to raze Stirling Street, along with 97% of Oldtown’s housing. Local preservationists, led by state Senator Julian Lapides and Peale Museum director Wilbur Hunter, launched a campaign to preserve the buildings. Senator Lapides led a bus tour, bringing residents of Stirling Street to see well-preserved historic homes on Baltimore’s Tyson Street and Seton Hill. 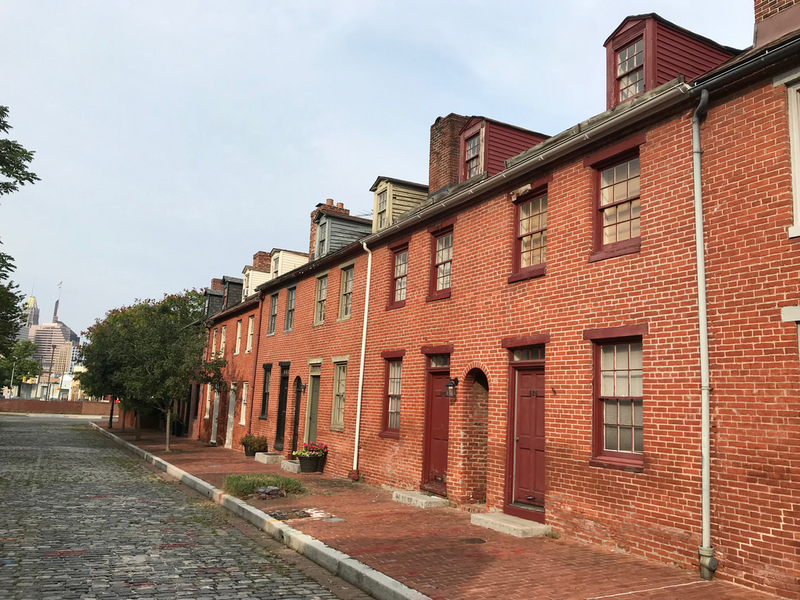 Hunter provided research to refute the claim that the rowhouses should be demolished because they were “slave’s quarters” and to prove their historic value. 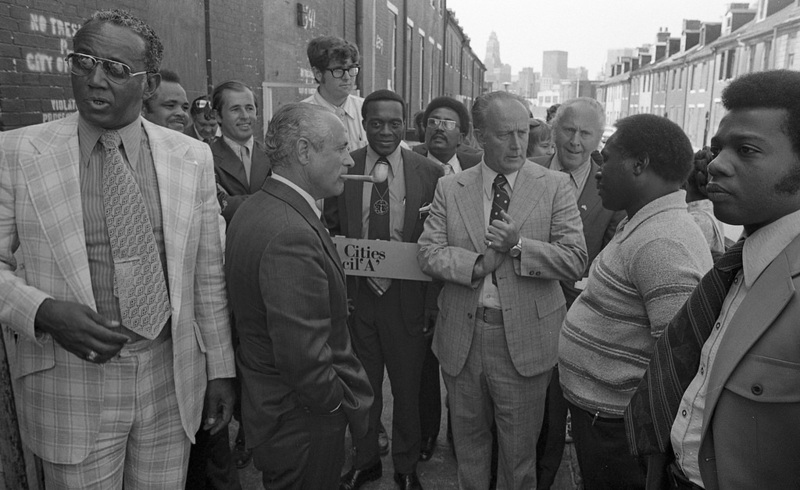 One afternoon in October 1972, over hamburgers at the office of Housing and Community Development Commissioner Robert Embry, Jr., Julian Lapides and his wife persuaded Embry to allow them to find a way to save the houses. Embry agreed, providing Lapides could show there was an economically feasible way to do so. After a consultant with a national reputation in historic preservation offered to buy and develop the entire block, Embry relented. The houses were offered for $1.00 to individuals who agreed to undertake the expense of restoring the houses. This “urban homesteading" project was one of the first in the nation. The 24 owners were selected from over 400 applicants, mostly young professionals, both African-American and white and all true urban pioneers. Julie Saylor, “Stirling Street,” Explore Baltimore Heritage, accessed April 23, 2019, https://explore.baltimoreheritage.org/items/show/210. Published on Mar 7, 2013. Last updated on Nov 27, 2018.